One-step electrodeposition technique is considered as an effective approach to synthesize selenides on various conductive substrates. 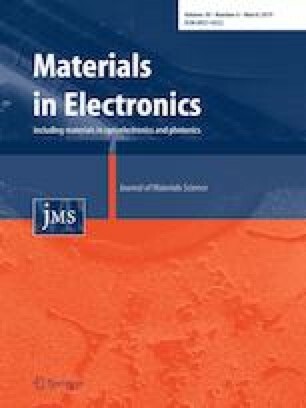 Now, cobalt and nickel selenides (Co-Se and Ni-Se) have been successfully fabricated on fluorine-doped tin oxide (FTO) glass by using a potential reversal (PR) and potentiostatic (PS) electrodeposition techniques. The main difference between PR and PS techniques is the application of anodic electrodeposition bias, resulting in the distinguished difference of crystalline structure and electrocatalytic performance of Co-Se and Ni-Se. The morphology analysis indicates that Co-Se (Ni-Se) films are composed of Co-Se (Ni-Se) crystalline nanoparticles by PR technique, which is beneficial to supply the more electrocatalytic active sites for the I3− reduction. The as-fabricated Co-Se (Ni-Se) film by PR technique displays the higher electrocatalytic activity than the corresponding film by PS technique. Then, the Co-Se (Ni-Se) film is used as counter electrode (CE) of dye-sensitized solar cells (DSCs). The power conversion efficiency (PCE) of the DSC assembled from Co-Se (Ni-Se) CE by PR technique is up to 6.91% (6.68%), which is larger than those of DSC with platinum (Pt) CE (6.30%), Co-Se CE (5.84%) and Ni-Se CE (2.91%) by PS technique. The online version of this article ( https://doi.org/10.1007/s10854-019-01273-5) contains supplementary material, which is available to authorized users. This work was financially supported by National Natural Science Foundation of China (No. 61804062, 61801188, 61704063); Jiangsu provincial university natural science research major program, China (No. 17KJA510001); the Science Research Foundation of Huaiyin Institute of Technology (No.17HGZ003); Jiangsu Overseas Visiting Scholar Program for University Prominent Young & Middle-aged Teachers and Presidents.